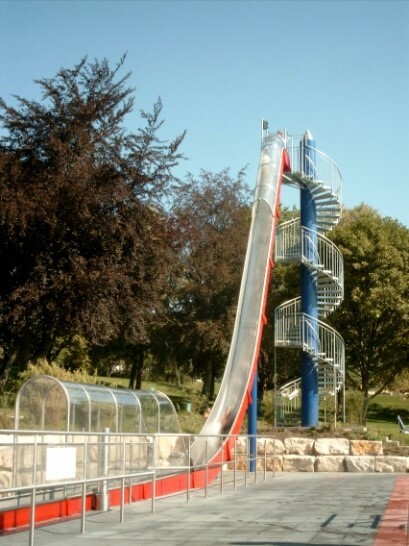 These extreme slides in stainless steel (V4A and NF1.4401 grade) give an adrenalin rush to their users, with a slope of 60 degrees at the top and a speed reaching 60km/h (37,5mph). A transparent polycarbonate canopy on the steepest part protects users and controls water waste due to splashing. The arrival end of the slide has a specially designed water break section. These toboggans can be equipped with a variety of the latest security protections and access controls.